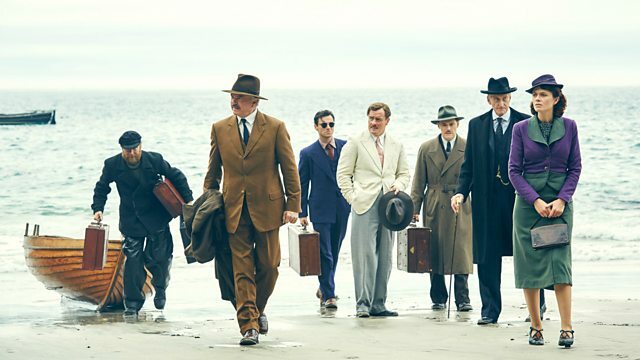 Samira Ahmed talks to writer Sarah Phelps about adapting Agatha Christie's And Then There Were None for TV, and Snoopy and Charlie Brown: The Peanuts Movie is reviewed. Agatha Christie's And Then There Were None is one of the best-selling crime novels of all time, and now the book has been adapted into a television series for BBC One. Writer Sarah Phelps talks to Samira Ahmed about how she went about adapting the novel for the screen. As Charlie Brown, Snoopy, Lucy, Linus and the rest of the Peanuts Gang make their big-screen debut, cartoonist and fan Kev F Sutherland delivers his verdict on Snoopy and Charlie Brown: The Peanuts Movie. This year we saw Poldark return to our screens, along with other 1970s programmes Open All Hours and The Clangers. Then there are the programmes which draw on 1970s-style TV programmes such as Mrs Brown's Boys, The Kennedys and Citizen Khan. And, surely, Downton Abbey is a reinterpretation of Upstairs Downstairs? Writer Andrew Collins and historian Dominic Sandbrook discuss our fascination with the decade. If you're in need of a break from all the sugar-coated festive fare, Front Row is offering some alternative Christmas treats for you to consider. The film critic Mark Eccleston unwraps his alternative Christmas film, Bad Santa. And Then There Were None begins on BBC One on Boxing Day at 9pm. Snoopy and Charlie Brown: The Peanuts Movie is in cinemas now, certificate U.